Here comes our new concoction of story building and play. Venturing through the Imaginarium, opening up The Cabinet of Curiosities and exploring the Corridor of Stories. 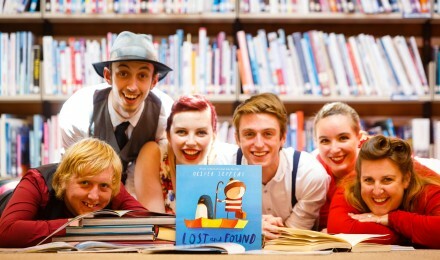 All led by story adventurers and performers Mel Young and Connie Crosby. Oh my, they have new tales to reveal so a return visit to The Writers’ Block is a must! Children will create fantastic stories and memories, all to be shared and taken away.